So much focus these days is on memorization of facts, but that does not require real thinking. (In fact, Dr. Jo Boaler from Stanford University, claims that it is even harmful to children!) To read more about the latest research on effective math practices, click here. 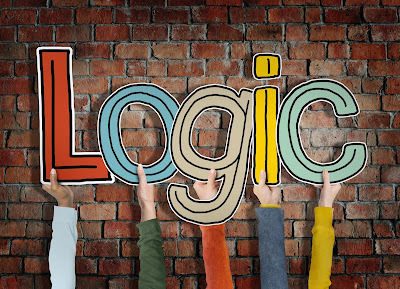 Getting children to practice thinking and forming logical conclusions is helpful in so many areas (plus it's fun)! 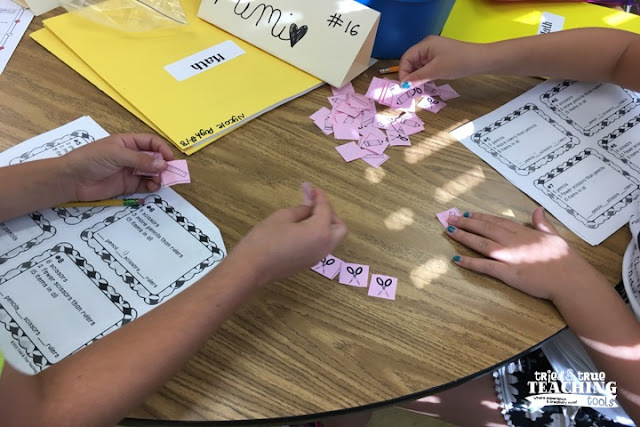 My students LOVE using School Supplies Logic Task Cards! 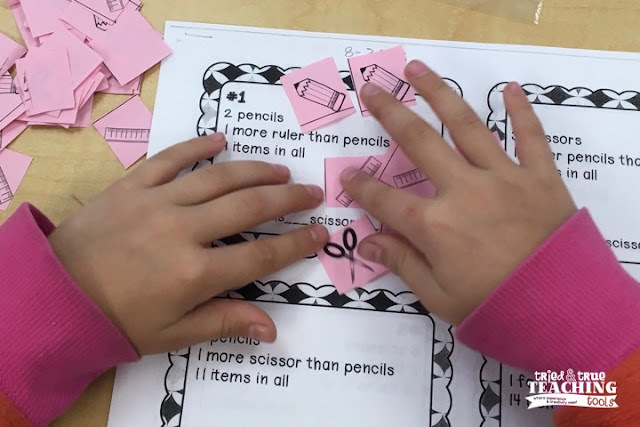 They read clues regarding the amount of objects in a group, while using pencil, ruler, and scissors tiles as manipulatives. 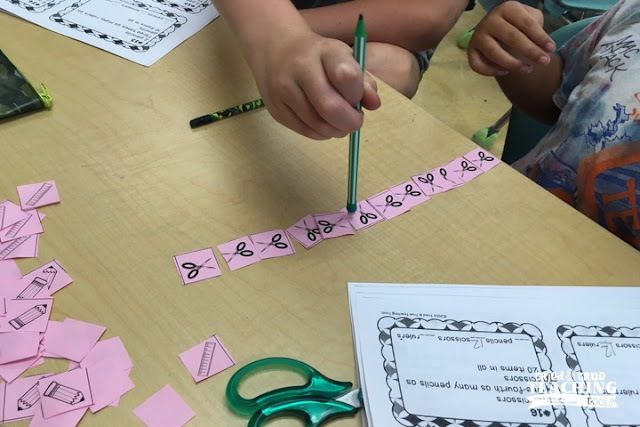 Although some students may not need the physical tiles, actually moving pieces around to compare, and building amounts and touching the school supplies helps to make the abstract problems become concrete. We just used this logic activity as a packet with our Math Buddies. We paired up with students in the other fourth grade class and together they discussed and solved the problems. 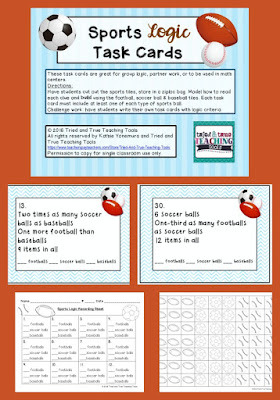 These task cards can also be printed, laminated, and used individually during Math Workshop. 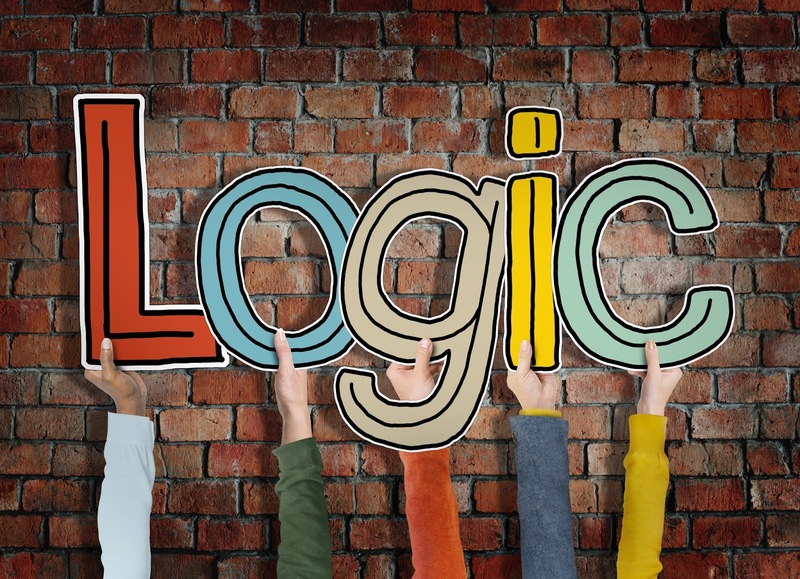 How do you encourage thinking and logic in math? Love this idea, Kathie! The manipulatives are so helpful! 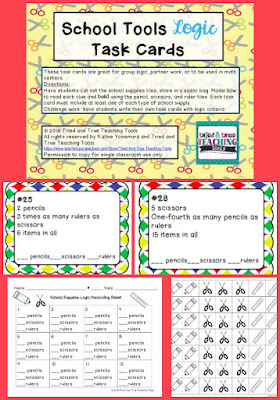 Great fun for back to school themed math & logic! Thanks! Thanks! My students love solving the logic problems! 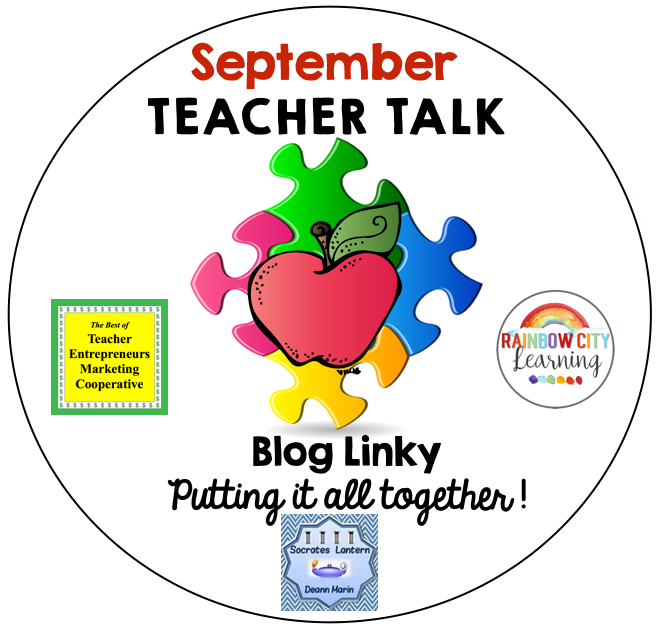 Love your task cards Kathie!